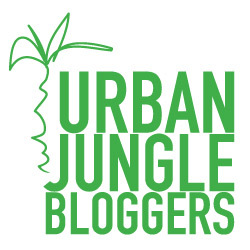 URBAN JUNGLE BLOGGERS - PLANTS AND GLASS - HIP HIP HOME! Although I love glass containers and vases, I don't usually use them a lot because truth be told, I am pretty clumsy. However, I made one exception recently - I thrifted this vintage cactus wine glass to house my air plants. Guys - it's a tired traveler, resting on a cactus, on the stem of a wine glass. Here, see for yourself. It's typically not what I bring home, but I couldn't get this one out of my mind. It's so whimsical. I use it to display my new airplants Tillandsia ionantha, also known as Blushing Bride, because of its red inner leaves. Unfortunately mine aren't blushing that much, I don't think they are getting enough sun. I will have to rectify that problem before it's too late! But for now, looking at this display two words come to mind - Happy Hour! 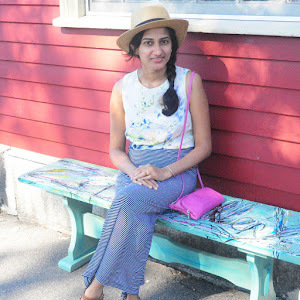 To see more posts in this series, visit Urban Jungle Blog. Hi Nupur, it was just one glass I didn't know what else to do with it ha ha! :)Borrow away please. Ha ha yes you should! I wouldn't call it exactly low maintenance as they are typically known. Misting every day is not low maintenance in my books lol. But other than that, I think they are fascinating so I like it! I have heard the 'Xerographica' variety is pretty drought tolerant - just a tip,in case you prefer to forget about your plants after each watering. Wow what a very uncommon find! So quirky! The airplants seem to enjoy their cactus glass pretty much, I hope you'll manage to make them blush a bit more. Thank you for sharing your Happy Hour with us, Vin! I have been giving them more sun, hope they do OK! I feel like I need an air plant now Vin! You have a great eye, not sure I would have ever thought of that glass as a planter but it looks so cute! Thanks Linda !! :) The airplant is fun! But not so low maintenance - I have noticed it needs to be misted at least every other day, and soaked every week!